Conference Series LLC Ltd organizes conferences around the globe on microbiology and its related field. We are happy to invite all microbiology researchers/ industrialists/ students to join our "8th Annual Summit on Microbiology" scheduled in Philadelphia, Pennsylvania, USA, during May 17-18, 2019. The Microbiology Conference 2018 is initiated by Editors of Journal of Medical Microbiology & Diagnosis: Open Access, Journal of Food & Industrial Microbiology: Open Access, Clinical Microbiology: Open Access and Journal of Plant Pathology & Microbiology: Open Access and we will definitely offer you an unforgettable experience in exploring new opportunities. Bring your family or workgroup to this inspiring event as we assure you that you will experience world class facilities and hospitality at the conference. The latest advances in microbiology have a high impact towards industrial revolution and in medical microbiology to treat major diseases and common toxicities and also affects the foodstuff that people eat and are the source of key industrial products. Such a broad field requires a necessarily broad survey of the market opportunities and challenges that will arise in upcoming years. In the modern economic climate, your business decisions are very crucial. The 8th Annual Summit on Microbiology will give an exciting opportunity to showcase the new technology, the new products of your company, and/or the service your industry may offer to a broad international audience. 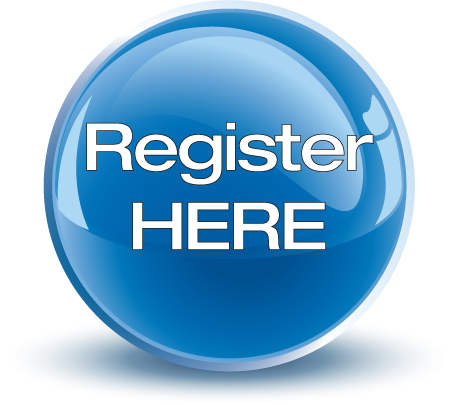 Conference Series LLC Ltd welcomes all the microbiologist, research scientists, research scholars, industrial professionals and student delegates from Microbiology and Healthcare sectors to be a part of the well-regarded Microbiology Conference 2019. This will be the best amalgamation of academia and research linking every aspect of Microbiology and its related fields. It is open to all types of research processes both from academic world and business. The global market for microbiology technology, equipment, and consumables market reached $9.8 billion in revenue in 2015. The market should reach nearly $12.3 billion by 2020, increasing at a compound annual growth rate (CAGR) of 4.6% from 2015 to 2020. Microbial Diseases - Defined as sicknesses or ailments caused in animals and humans by the introduction of one of four different types of microbes; Bacteria, Viruses, Fungi and Protozoa (also known as protoctista).Microbiologists pursue knowledge to prevent and treat the diseases microbes cause. The 20th century saw an incredible increase in human knowledge concerning microbes. Microbiologists and other researchers experienced a number of successes in learning how microbes cause some infectious diseases and how to fight those microbes. Probiotics are live bacteria and yeasts that are called “the good” microorganisms because they benefit the digestive system. Microbial infections mainly caused by viruses, bacteria, fungi, or parasites. The most common bacterial skin pathogens are Staphylococcus aureus and group A β-hemolytic streptococci. Herpes simplex is the most common viral skin disease. Of the dermatophytic fungi, Trichophyton rubrum is the most prevalent cause of skin and nail infections. Antimicrobials are agents that kill microorganisms or stop their growth. Agents that kill microbes are called microbicidal, while those that merely inhibit their growth are called biostatic. The use of antimicrobial medicines to treat infection is known as antimicrobial chemotherapy, while the use of antimicrobial medicines to prevent infection is known as antimicrobial prophylaxis. Microbial pathogenesis is the study of the molecular mechanisms used by microbes to cause disease in human and animals. Bacterial, protozoan, fungal and viral pathogens have evolved a wide variety of tools to establish themselves in the host and gain nutrients, which also cause damage and disease. Clinical Microbiology is a branch of science dealing with the interrelation of macro- and microorganisms under normal and pathological conditions and in the dynamics of a pathological process with an account of the treatment till the clinical and/or complete recovery is presented. Bacteriology is the branch and specialty of biology that studies the morphology, ecology, genetics and biochemistry of bacteria as well as many other aspects related to them. This subdivision of microbiology involves the identification, classification, and characterization of bacterial species. Mycology is the branch of biology concerned with the study of fungi, including their genetic and biochemical properties, their taxonomy and their use to humans as a source for tinder, medicine and food as well as their dangers, such as toxicity or infection. Phycology is the scientific study of algae. Also known as algology and is a branch of life science and often is regarded as a sub discipline of botany. Virology is the scientific discipline concerned with the study of the biology of viruses and viral diseases, including the distribution, biochemistry, physiology, molecular biology, ecology, evolution and clinical aspects of viruses. Most of the antiviral drugs now available are designed to help deal with HIV, herpes viruses, the hepatitis B and C viruses, and influenza A and B viruses. Researchers are working to extend the range of antivirals to other families of pathogens. Diagnostic microbiology is a specialty within the sciences which focuses on applying microbiology to medical application. Similarly to being concerned with the identification of a disorder-inflicting organism, diagnostic microbiology can also be a part of modifying a treatment plan. Microbes including bacteria, protozoans, and fungi play a vital factor in many disease processes. The various laboratory techniques like microscopy, immunological assessments, radiology, biomarker tests, ELISA, serology checks, vaccine vectors are the primary diagnostic tests which are currently in use. Many microbes have developed resistance to medications. Hence, it's far essential for the scientists to give smarter methods of diagnosing those microbes and their pathogenic mechanisms. Microbiology in Oral Health: Oral microbiology is the study of the microorganisms (microbiota) of the oral cavity and their interactions between oral microorganisms or with the host. The environment present in the human mouth allows the growth of characteristic microorganisms found there. It provides a source of water and nutrients, as well as a moderate temperature. Resident microbes of the mouth adhere to the teeth and gums to resist mechanical flushing from the mouth to stomach where acid-sensitive microbes are destroyed by hydrochloric acid. Pharmaceutical Microbiology is an applied branch of Microbiology. It involves the study of microorganisms associated with the manufacture of pharmaceuticals e.g. minimizing the number of microorganisms in a process environment, excluding microorganisms and microbial biproducts like exotoxin and endotoxin from water and other starting materials, and ensuring the finished pharmaceutical product is sterile. Other aspects of pharmaceutical microbiology include the research and development of anti-infective agents, the use of microorganisms to detect mutagenic and carcinogenic activity in prospective drugs, and the use of microorganisms in the manufacture of pharmaceutical products like insulin and human growth hormone. Role of Microbiology in Nursing: The patients who nurses care for are often vulnerable and at increased risk of infectious disease. Nurses and other healthcare workers may carry harmful bacteria on their hands. Therefore, extra care must be taken to avoid the transfer of infectious agents from nurse to patient. Infections that are acquired while a patient is hospitalized are common unfortunately. They are sometimes difficult to treat and can be fatal. In addition, hospital-acquired infections result in lengthened hospital stays that increase the economic burden. An appreciation and understanding of microbiology and infection control is vital to nursing practice. Microbial ecology/environmental microbiology is the study that deals with the ecology of microorganisms and their relationship with one another and with their environment. This concerns the three major domains of life - Eukaryota, Archaea, and Bacteria—as well as viruses. Microorganisms, by their state of being widespread, impact the entire biosphere. Are you planning to have a professional and delightful trip to Philadelphia, Pennsylvania, USA??? We believe you must be having a query regarding your VISA to Visit as a Speaker/Delegate, Tourist or Business Person to Philadelphia, Pennsylvania, USA. Microbiology Conference 2019 Committee will be happy to help you in all regards to plan your trip to the USA. Here is the simplest way to know the process for your Visa Approval. 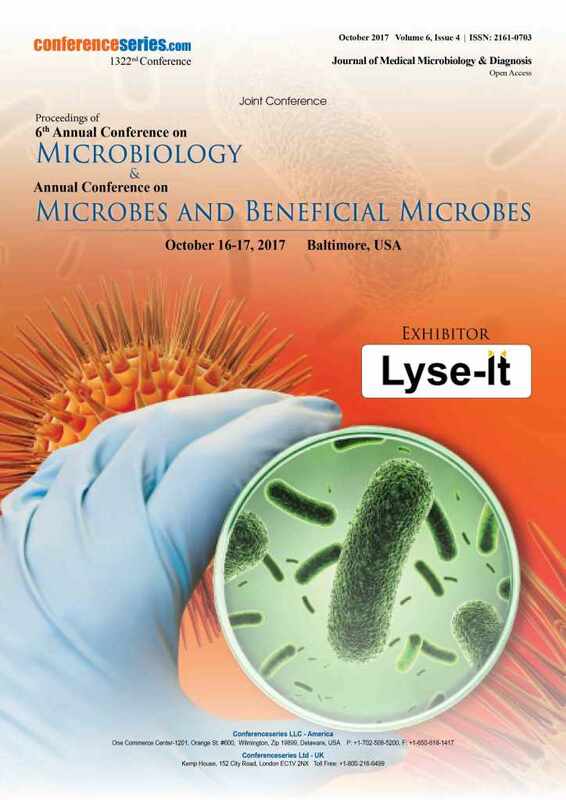 Kindly register for the conference at the earliest and drops us an email at microbiologyconference@microbiologyconferences.org and avail the official invitation letter from us to attend this event ahead with a closer step for approval of your VISA. Processing time for VISA applications may vary depending on the office and the time of the year. Delegates/Attendees are encouraged to submit their visa applications well in advance of the date of the event at a VISA Application Centre or online E-applications, including all supporting documents. 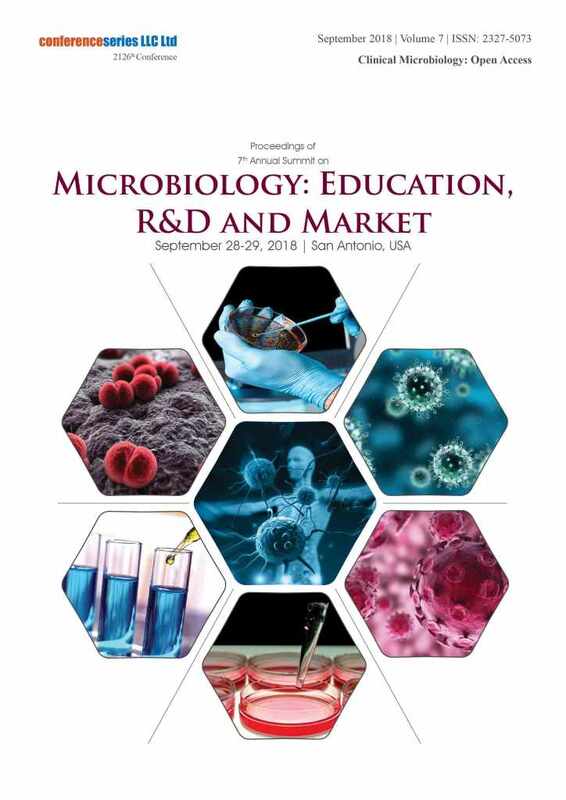 The 7th Annual Summit on Microbiology: Education, R&D and Market, hosted by Conference Series LLC Ltd were successfully held during September 28-29, 2018, at San Antonio, Texas, USA. The conference was marked with the presence of Editorial Board Members of supported Conference Series LLC Ltd Journals, Scientists, young and brilliant researchers, business delegates and talented student communities representing from different countries, who made this conference successful and productive. We are thankful to our below Honourable Chairs: Rick Falkenberg from Nestle Nutrition Research and Development, USA and Xhavit Zogaj from University of Texas at San Antonio, USA and Co-chair: Maria King from Texas A&M University, USA for their generous support and suggestions. · Title: Evaluation of the airPHX advance oxidation system in controlling healthcare- associated infections on various surfaces. · Title: Dynamic monitoring and air flow model-based tracking of aerosolized bacteria in meat facilities’. · Title: Construction of a live vaccine strain against Tularemia. · Title: Salmonella: An enemy for poultry industry. Conference Series LLC Ltd has taken the privilege of felicitating Microbiology Conference 2018 Organizing Committee, Editorial Board Members and Keynote Speakers who supported for the success of this event. The esteemed guests, Keynote speakers, well-known researchers, and delegates shared their innovative research and vast experience through their fabulous presentations at the podium of Microbiology Conference 2018 Conference. We are glad to inform that all accepted abstracts for the conference have been published in Conference Series LLC Ltd “Clinical Microbiology: Open Access” as a special issue. We are also obliged to various delegate experts, company representatives and other eminent personalities who supported the conference by facilitating active discussion forums. We sincerely thank the Organizing Committee Members for their gracious presence, support, and assistance.